HVAC: Does It Really Control My Environment? What is an HVAC System? HVAC is short for heating, ventilation and air conditioning these are the functions of the system. The system main function is to control the entire environment that it has been placed in. HVAC controls the temperature and humidity level by regulating the movement and distribution of the air inside. There are three main types of HVAC systems split, window ac, central ac system, and packaged heating and air conditioning system. Ventilation plays an important role in your HVAC system. It processes the exchange and replaces of air in your environment. The ventilation process removes smells, extra moisture, pulls in outside air, circulation and prevents stagnation in the air. This function is the most important factor of your HVAC system for maintaining acceptable air quality. What is the age and size of the structure it will be placed in? • The number of rooms you want to air-condition and heat. • What is your local climate? • What warranties are available? • What type of system will best fit your needs? An HVAC system will ensure the maintenance of temperature and humidity; in an affordable and efficient way. If you think your structure needs air-conditioning or heating repair Sacramento ca make sure you work with only qualified personnel when buying and installing the system. 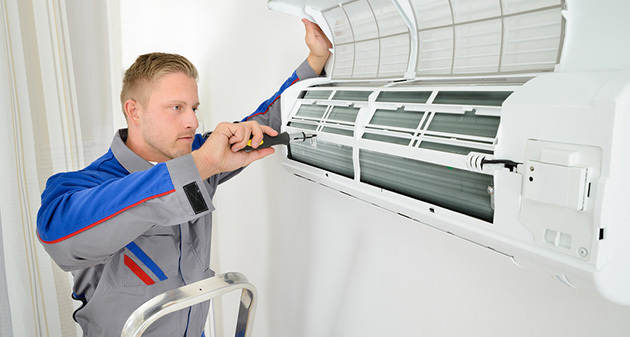 When you need your HVAC system replaced or repaired, you will need to hire an HVAC contractor who is specialized and licensed to work on the equipment. A licensed contractor will be properly trained, insured, and have certifications that follow their profession. You will need to ensure that the HVAC contractor has the licenses and certifications required by the local area or state. Choose an HVAC contractor who is insured so you can financially protect your home from damages. Choose your contractor that will inspect the system or structure before providing estimates or making an appointment for repair. Professional license and HVAC contractors will look for air leaks, measure air flow, and inspect your insulation to make sure all components meet HVAC guidelines and the manufacturer’s specifications. The Department of Energy the HVAC is responsible for 45% which is the typical residential energy bill. California now requires duct pressure testing for all California climate zones under the 2013 Title 24. Title 24 has a minimum efficiency standard, set by the California Energy Commission. Depending on the HVAC system you’re replacing the city or county department will have to issue your permit. Then they will require you to have duct pressure testing completed. If the duct pressure does not meet standards then the ductwork must be examined and repaired to be able to pass the permit inspection. Be the first to comment on "HVAC: Does It Really Control My Environment? "